Yippie – spring has finally arrived. 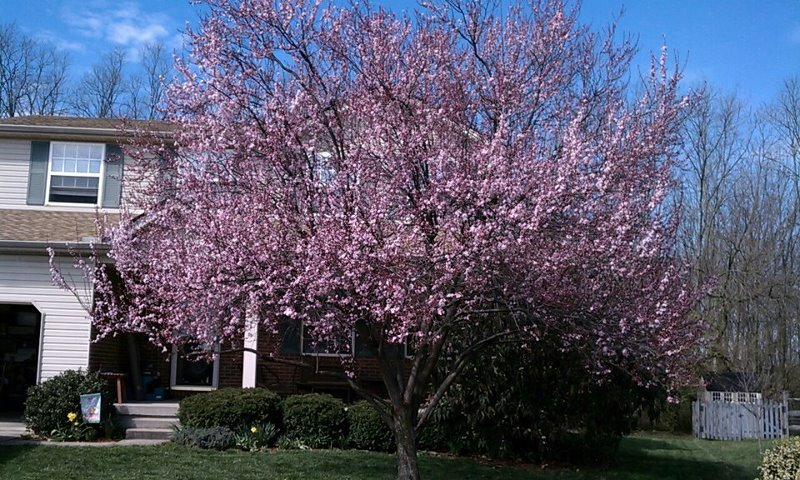 I don’t go by any calendars or what the weather gurus say, I know it’s here when our flowering plum tree blooms in all its glory. It is a beautiful sight and once it blooms, the birds chirp louder, the neighborhood kids come out to play, and we finally get to see our neighbors. All of this coincides with getting excited for the upcoming Easter celebrations, egg hunts, and bunny sightings. There are so many ways to celebrate Easter and we wanted to make sure you have a great listing of the upcoming events to help with your planning. If you know of a local Easter Egg Hunt in your area, please leave a comment so we can keep on sharing. Countryside YMCA – Lebanon, Ohio – Easter Breakfast & Egg Hunt – March 24 – 9-11am- $5/adults & $3/child – Easter Egg Hunt after breakfast at 11:20am. Call (513) 932 1424 ext 142. Ft. Mitchell/Gen. Ormsby Mitchel’s Park – Easter Egg Hunt – March 24 – 1 – 3pm – FREE – Easter egg hunt by age group, Sunrock Farm petting zoo, face painting, the Easter Bunny will be present for photos, Remke’s will have hot dogs and chips for $1. Northgate Mall – Easter Egg Hunt – March 24, 10:30am – Register at the Customer Service Desk or call 513-385-5600. 9501 Colerain Avenue – FREE. William E. Durr Library – Pictures with the Easter Bunny & Egg Hunt – March 24 – 2-4pm (Easter Egg Hunts at 2:30 & 3:30pm) – 1992 Walton-Nicholson Rd., Independence, KY – FREE. Taylor Mill – Annual Easter Egg Hunt at Pride Park – March 24 – 1pm. The hunt will be held by age group for children ages 6 months through 12 years. The River Church – Helicopter Egg Drop – March 24 – Pre-register for ages 2years-KG & 1-5th grades – FREE – 5546 Cincinnati Dayton Road, Liberty Township. Park Hills – PHCA Easter Egg Hunt at Trolley Park- March 31 – 10:30am; The Easter Bunny will be there too for fun and pictures! Mason United Methodist Church – Easter Eggstravaganza – March 31 – Enjoy a pancake breakfast from 9:30-10:45am, puppet show at 10:50am and then an indoor egg hunt. The Easter Bunny will be there for pictures too – FREE. Rotary Club of Batavia – Easter Egg Hunt – Batavia Township Community Center – March 31 – 10am – for kids 1-9 years – FREE. Passages Church – Free Community Egg Hunt – March 31 – 10am-12pm – Fort Liberty Playland, Liberty Township – Click here to register – FREE. Riverside Park Milford – Easter Eggstravaganza – March 31 – 10am-11:30am – RSVP needed – FREE – Rain date is April 7. Miami Township – Easter Extravaganza – Miami Township Civic Center – March 31 – 10am-Noon – No Egg Hunt but the Easter Bunny and his helpers will deliver eggs to the kids – also includes crafts, cookie decorating, face painting and games – FREE. City of Fairfield – Harbin Park – Easter Egg Hunt – March 31 – 10:30-11:30am (open to Fairfield Children) – age groups 3 and under, 4-5 & 6-8 – FREE. Hamilton County Park District – Parky’s Farm – Easter Spectacular – March 31 & April 1 – Various time slots, RSVP needed – no tickets sold at the door – $9.35 plus tax for children and adults. Lunch with the Easter Bunny, wagon ride to egg hunt, bounce house, 4×6 complimentary photo with Easter Bunny, bubble fun, music, indoor/outdoor play areas and more. Deerfield Township – Cottell Park -Easter Egg Hunt –April 7, 1oam & 11:30am – kids divided into age groups – FREE. Warren County Park District – Armco Park – Easter Egg Hunt – April 7, 1pm – rain or shine – open to kids up to age 12 – FREE. Meadowbrook Care Center – Easter Egg Hunt – April 7, 10am-Noon – for ages 0-1o years – Egg Hunt, face painting ($2), lemonade, popcorn, visit with Easter Bunny, clown with balloon sculptures, and live entertainment from 11am-Noon – FREE – 8211 Weller Road, Montgomery, Ohio. Keehner Park Easter Egg Hunt – West Chester – April 7, 1-2pm – Egg Hunt divided by age groups – held at the Keehner Park Tennis Courts – FREE. Anderson Township Park District – Riverside Park – Easter Egg Hunt – April 7, 10am-11:30am – for kids 17 and under with divided age groups. $2/person per hunt. At Noon, the adults (18 and up) can participate in an adult egg scramble. St. John Passion Play – March 24-April 1 – FREE but donations accepted to support the play or you can bring in canned food donations or personal grooming items to benefit St. George Interfaith Food Pantry – Reservations requested. 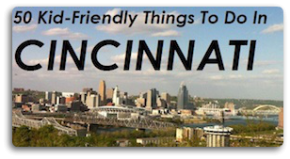 Held at St. Augustine Church, 1839 Euclid St., Covington, KY.
LM&M Easter Bunny Express – Lebanon, Ohio – March 31 & April 1, April 6 & 7 – Take a train ride from Lebanon Station, have a fun layover at the LM&M Junction and then return to Lebanon Station. Enjoy a visit with the Easter Bunny, Easter Egg Hunt, coloring contest and train ride. Adults/$18.50, Kids (5-16)/$15.50, Kids (2-4)/$8.50, Kids (1 and under)/FREE. Pump-it-Up Cincinnati – Easter Egg Hunt-n-Jump – April 6 & 7 (various times). Egg hunt, meet the Easter Bunny and jumping fun. Register online for $10/child + $1.54 processing fee. Run Jump-N-Play – Easter Celebration – April 6 – 9am-Noon or 1-4pm sessions. Register for $10/child and kids under 36 inches are only $5/child. Egg hunt and Glo Golf included in price. The Cincinnati Zoo & Botanical Garden – Easter Celebration – April 7 – 10am-2pm – Zoo admission fees apply. Gorman Heritage Farm – Spring Farm Fest – April 7 – 9am-4pm – While not technically an “Easter” event, this looks like a great way to celebrate spring. See baby farm animals, have story time, enjoy a mule ride (weather permitting). $5/adults and $3/kids, members/free. Kenwood Towne Center – Photos with the Easter Bunny – Now through April 7 – 7875 Montgomery Road. Northgate Mall – Photos with the Easter Bunny – Now through April 7 – 9501 Colerain Avenue. SKATETOWN USA in West Chester, Ohio is having an Easter egg hunt Saturday march 30th at noon. It’s FREE and no age restrictions. There’s grand prizes to win for the kids along with food, skating and games! Thank you so much for the info – I just updated the post to include this too. There will be an egg hunt March 31st at 10:00 at the Oakley Recreation Center in the Hyde Park Plaza with the Run for Shelter 5K and Carnival.